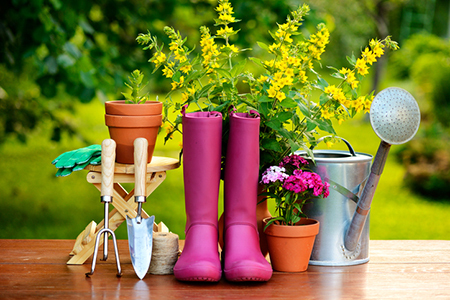 Do You Have the Right Tools to Dig Into Spring Gardening? As sure as winter will turn to spring, before too long folks will be looking forward to planting gardens and digging into landscaping projects around the yard. So we turned to research from gardenoid.com, which gathered 34 gardening experts to find out their opinions on the top must-have tools for making your garden look stylish in 2018. Among the most popular tools touted for gardeners is a mattock, which is used for clearing the ground, removing stones and digging out deep roots that create roadblocks. Composting is another way that homeowners can promote environmental responsibility. Making compost can now become much easier when you make use of a chipper shredder. While a leaf shredder can be used primarily for shredding small-sized leaves and twigs, if you want to chop and shred branches, then gardenoid.com recommends buying a chipper. At Gardendesign.com, Jennifer Nelson says gardening can turn into a thorny and splintery hassle without the right pair of gloves. Washable synthetic gloves – For general maintenance, such as deadheading, weeding in dry soil, and handling seeds, the thin fabric and snug fit allow fingers maximum dexterity. Brendan Huggins of Moore Farms Botanical Garden (moorefarmsbg.org) says pruners are one of the most used tools in the garden, and are often one that people skimp on, but a high-quality set of pruners can last a lifetime. Huggins suggests looking for replaceable blades, a sturdy lock, a replaceable spring, and a place that you can readily purchase replacement parts from when deciding what pruners to buy. Moore Farms’ Kirk Laminack, on the other hand, says a Japanese planting hoe is an ideal addition to your gardening arsenal when it comes to loosening soil and removing weeds.